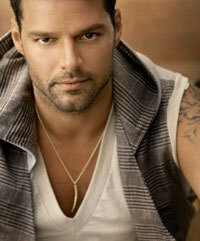 The Latino singer Ricky Martin came out on his website yesterday, proclaiming that he is a "fortunate homosexual man". Still, at least Ricky Martin won’t have to worry how his fans will react to this news. Not because they’re all open-minded and progressive, you understand, but because technically he hasn’t been famous for about a decade, Hecklerspray reports. Martin, 38 who has previously collaborated with Christina Aguilera also admitted that his coming out marked: "an amazing turning point in my life." The Livin' La Vida Loca singer decided to reveal his homosexuality when he started writing his memoirs a few months ago. Ricky wrote on his website: "From the moment I wrote the first phrase I was sure the book was the tool that was going to help me free myself from things I was carrying within me for a long time." He also added that the secret had become: "too heavy for me to keep inside" and his sexuality was "something worth celebrating." The singer, who has two sons Matteo and Valentino by a surrogate mother revealed that he did not come out earlier as his advisers said it would ruin his career. Gay Rights groups have said Martin will be an inspiration to millions of young people who are worried about their sexuality, MTV UK reported. According to his statement, which was written in Spanish and translated into English, his choice to come out was sparked by his decision to write his memoirs. "Many people told me: "Ricky it's not important", "it's not worth it", "all the years you've worked and everything you've built will collapse",' he blogged. "I decided to move on with my life not sharing with the world my entire truth. Allowing myself to be seduced by fear and insecurity became a self-fulfilling prophecy of sabotage. Today I take full responsibility for my decisions and my actions. In August 2008, Martin became the father of twin boys, Matteo and Valentino. The babies were delivered via gestational surrogacy, CBS News reported.